Portable Antiquity Collecting and Heritage Issues: Doing Due Diligence but not Knowing the Law? 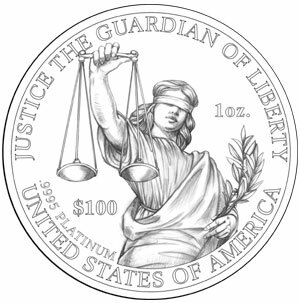 [...] I'm not up to date on stolen property laws, but if Mr. Weiss bought the coin in good faith, other than perhaps having to forfeit the coin, I wonder if he can be held criminally liable? One aparently ovelooked comment in this complaint, at least not discussed here, is the fact that Italy is claiming title to anything that may have come out of Italy since 1909. This has nothing to do with the recent Mou's. This was an expensive coin so it brought a lot of attention on itself. Can we forsee a time in the near future where Italy starts to claim everything that may have come out of Italy that doesn't have a pre-1909 pedigree? [Reply #80 on: January 12, 2012, 09:45:12 am] The 1909 reference is to the date when Italy established by law that dugup antiquities were state property, later reinforced in the 1939 legislation. It is rather odd to learn that somebody in the coin business does not know about this as the 1939 law is a favourite among coiney ideologues, who love to refer to it 9and thus by extension all like it) as a "Fascist Law". What is interesting is how a US dealer can go on a public forum and admit he does not know current stolen property laws (in his own country) or the relevant foreign legislation of a country producing some of the coins he regularly buys and sells. So if he does not know the law, how is this dealer doing due diligence to make sure the items he acquires were obtained in accordance with those laws? Can one imagine any other business involving commerce in objects produced in other countries where the dealer would not actually know very much about the laws concerning such commerce? Selling meat and dairy products for example. What is also odd is that only now does it appear that US dealer Barry Murphy waking up to the fact that the problems of illicit artefacts go well beyond "the recent [CCPIA] MOUs" which is the sole topic that the ACCG is banging on about all the time. Perhaps, in the light of his admission, Mr Murphy should do a bit more reading before he sells anyone else any more coins with insufficient knowledge of the legal background to what he is doing. Vignette: I bet when seeing it in the context of their purchasing activities, the coineys interpret this coin design differently from the rest of us.